DW Auto only supplies top quality conversions and that's why DW Auto and Home Mobility is proud to be a All Terrain Conversion Dealer in Missouri. 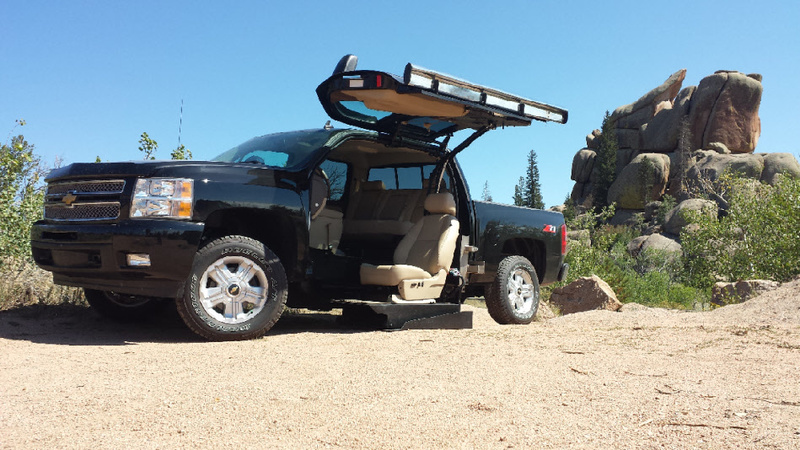 All Terrain Conversions produces top quality wheelchair accessible conversions for Wheelchair entry. 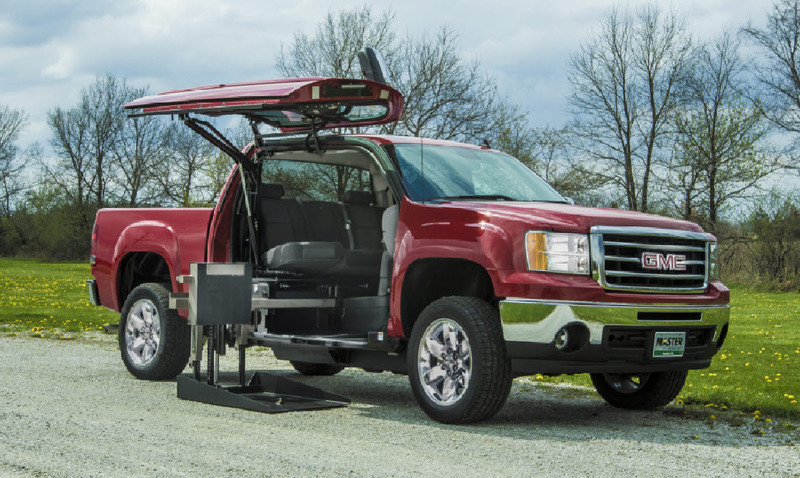 Whether your a driver or passenger Wheelchair user, an All Terrain Conversion by DW Auto can help get you in a truck. Simply press the button and the truck or suv will open automatically. It also has the industries fastest open and close time! If your not in Missouri don't worry, we facilitate these vehicle conversions and ship nationwide. We can even come to you for a final fitting. We can convert 2008-2014 GMC, Chevy and Cadillac models. The 1500, 2500 in 4 wheel drive or 2 wheel drive are available. We can also convert the suburban and the Escalade ESV, So get your freedom back with an All Terrain Conversion by DW Auto. We have many available to show, simply call or email and we will make things happen. These trucks are NHTSA crash tested and NMEDA certified. They have undergone rigorous testing for safety and reliability. Full factory warranty is in tact plus a full 5 year 50,000 mile warranty on the conversion. That's an industry best! You can supply the vehicle chassis or we can get one of your choosing for you. We can roll financing into one package and we assist in acquiring funding assistance. Just give us a call and we will walk you through the entire process.